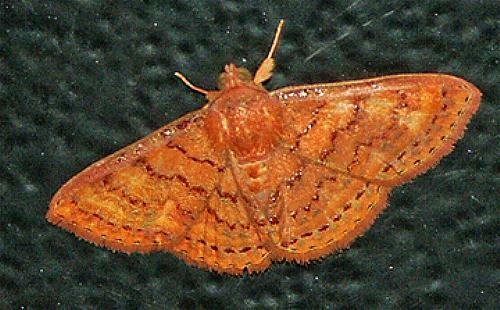 The adult moths of this species are orange with several submarginal arcs of darker spots and scalloped lines. The wingspan is about 3 cms. 1889, p. 477, No. 70. LeapFrogOz, Kuranda, 2015, p. 141.